Welcome to our first LIGNOFLAG Newsletter. In this issue we would like to inform you about our progress in building a new commercial-scale plant for cellulosic ethanol made from agricultural residues, based on Clariant’s innovative sunliquid® technology. You will find all interesting information about our groundbreaking event. Moreover, you will also find the latest news about EU policies and decisions relevant to the project. On 12 September 2018, Clariant officially started the construction of the first large-scale commercial sunliquid® plant for the production of cellulosic ethanol made from agricultural residues in Podari near Craiova, in southwestern Romania. At the flagship facility, Clariant’s innovative sunliquid® technology is being used on an industrial scale for the first time. Scheduled to start-up in 2020, the plant will process around 250,000 tons of wheat and other cereal straw sourced from local farmers to 50,000 tons of cellulosic ethanol annually. Find out more. The recent agreements on the revised Renewable Energy Directive (RED II) are setting the tone for creating a stable and predictable business environment that will trigger the development of and investment in advanced biofuel production within the EU. Find out more. Clariant is currently building a new commercial-scale production plant for cellulosic ethanol made from agricultural residues, based on the sunliquid® technology. The plant with an annual capacity of 50,000 tons of cellulosic ethanol will be located in the Craiova region in Romania. The aim of the EU-funded project LIGNOFLAG is to optimize the efficiency and increase the production capacity of this plant to up to 60,000 tons of ethanol per year, as well as to ensure a highly sustainable production process that uses co-products for renewable energy production and soil fertilization. Cellulosic ethanol is an advanced, truly sustainable and climate-friendly biofuel. It is produced from agricultural residues such as cereal straw, which are sourced from local farmers. 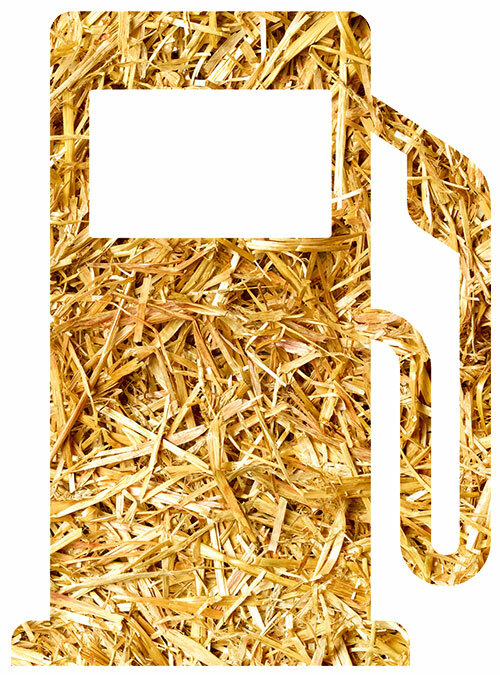 The production of cellulosic ethanol leads to a greenhouse gas reduction of up to 95 % compared to fossil fuels. The new flagship plant will generate green jobs and will involve the establishment of new collaborations that connect economic actors along the whole value chain thus promoting strategic cooperation between sectors. As the cellulosic ethanol plant can use agricultural residues in the immediate vicinity, local fuel production will be promoted. This will reduce dependency from fossil fuels and secure a competitive source of domestic renewable energy in Europe. Find out more. The LIGNOFLAG project receives an EU contribution of EUR 24.7 million from the Bio-Based Industries Joint Undertaking (BBI JU). It is the first flagship project funded by BBI JU. “The project has the potential to generate value, provide jobs, and enhance sustainability in a rural community in Romania – one of the countries with lower GDP in Europe – while supporting high-tech jobs in Germany and Switzerland”, said Philippe Mengal, executive director of BBI JU, at the plant’s groundbreaking ceremony. Find out more. This project receives funding from the Bio-Based Industries Joint Undertaking under the European Union’s Horizon 2020 Research and Innovation Programme under Grant Agreement No. 709606. Copyright 2018 LIGNOFLAG - All Rights Reserved.